The Royal Stewart kilt is THE representative kilt of the Celtic tradition. Timeless with time. The Royal Stewart tartan kilt is the Stuart's family kilt and the personal tartan of Queen Elizabeth II. The subjects of her majesty can therefore wear this tartan which is also part of many official uniforms. 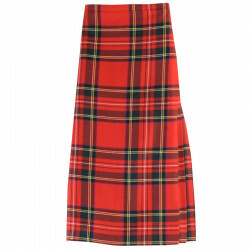 A kilt consists of several pieces called aprons. The front of the kilt consists of two pieces, the top apron and the apron below and the back of the kilt consists of a series of folds. 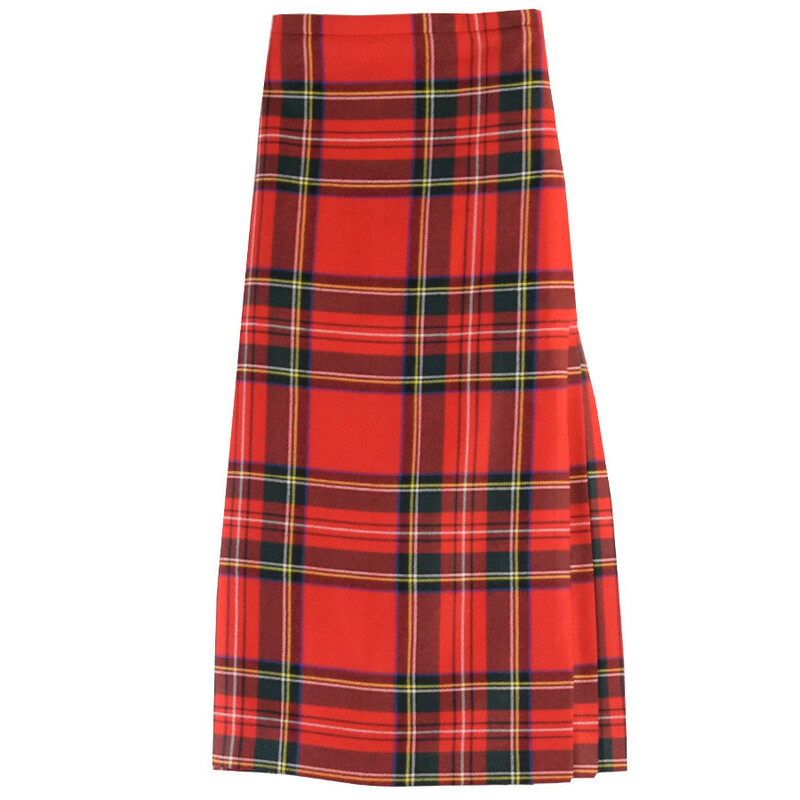 The kilt is flat at the front and pleated at the back. The size is adjustable thanks to 2 black belts. The kilt is 100% wool quality. This article is a special order. Sizes may still be available in our points of sale or delivered within 3 months by our supplier. Please contact our Customer Service 02 98 85 47 37. Please specify the French size when ordering.